Do you want to buy a mailing list to expand your database? STOP before it’s too late! Buying a mailing list is always a bad idea. That’s it. 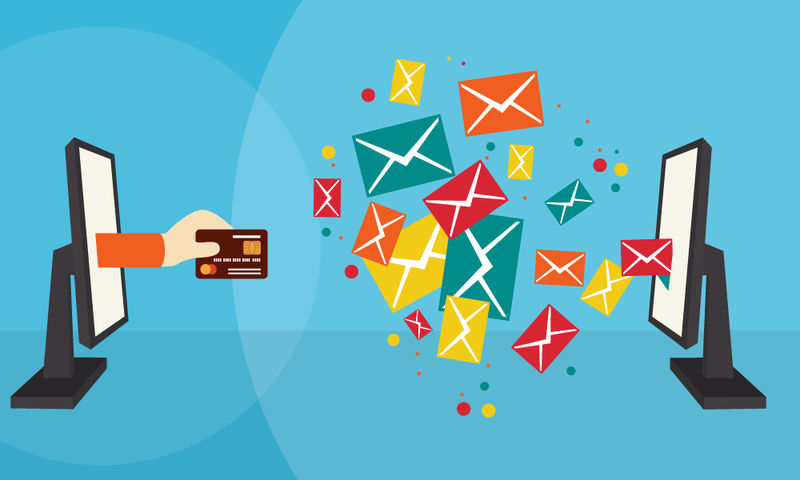 There is no case in which it could help your email marketing. It’s a scam! Apparently it seems the easiest way to expand your database and increase the reach of your campaigns, but it can damage your communication strategy and be very expensive. If someone has told you it’s a good idea, here are 6 good reasons to ignore his advice! In these lists you will not find verified contacts – and very often they will not even have given their consent – moreover many addresses will be wrong or they will not exist! Sending an email campaign or a newsletter to a list with incorrect or non-existent addresses creates many bounces, both soft and hard (those more dangerous). What does this mean? That your delivery rate will be very low (not even mentioning the opening rate) and that the reputation of the IP address you are using to send will drop drastically, seriously compromising your future mailings. If these consequences are not serious enough, consider that you could also be kicked out of the email marketing platform you’re using! Do you know what an “honest” mailing list seller offers in many cases? A list of addresses randomly copied from the web! Of course, he could also tell you that his contacts are all “opt-in”, or verified email addresses, but he will do it only to trick you. Even if some were for real, they would not serve your business anyway. In fact, such a generic list of email addresses will never be relevant and effective for your purposes, because the contacts in question have never said they want to receive your specific messages and could be totally disinterested in your product / service. This is one of the main reasons why you should never buy a mailing list ever. The secret of email marketing is to create a trustfully relationship with your recipients, providing them with relevant content. When contacts give consent to receive your emails, they are confirming their interest in what you have to say. If you send emails to people who do not know you and are not interested, how many do you think will open your email just because you wrote a beautiful subject? Buying a mailing list is a wrong strategy, because it takes away your money and time to attract people who don’t want to receive your content. Sending emails to contacts of purchased lists generates complaints and reports for spam. The word with the S, the one that anyone involved in email marketing fears: spam. Put yourself in the shoes of your recipient: if you receive emails for which you have not given consent, what would you do? After two or three emails you will unsubscribe, or report messages as spam. Receiving complaints or reports for spam is the worst things that can happen to you, because it can compromise the reputation of the IP address you use. If your IP is considered unreliable or get inserted into a blacklist your messages are no longer delivered, because they are blocked by ISPs (email service providers) and spam filters. If you buy a mailing list you will lose money and damage all your campaigns. The reason is twofold: first and foremost you damage your work above all; secondly it also damages the software you are using, compromising the IP addresses used. After spending a lot of time writing your content, creating the layout and the subject, it is worth throwing everything out to send your emails to random addresses? eMailChef does not allow users to use purchased lists, because we preserve both, our and your work. Last but not least, if you are not convinced yet here our last thougth: you will not get any return on your investment (ROI), if you buy a mailing list. A purchased list is not a list of “valuable” addresses to send your emails, so your earnings will not increase. The money spent on the purchase of a mailing list will be lost forever! At this point you will be asking to yourself: “So, which is the solution to create an effective contact list”? eMailChef has always recommended to collect email addresses with the permission and interest of users, especially after the recent new GDPR legislation on the protection of privacy and personal data. A correct and effective way to collect contacts is – for example – through an online registration form that you can create with our dedicated editor. Than you could link it to ppc and/or social campaigns. Try it for free now, just activate a free account! Also remember that our customer service is always available to help you set up your email marketing in the right and effective way!